It’s here, it’s happening, it’s all anyone on the internet is talking about. 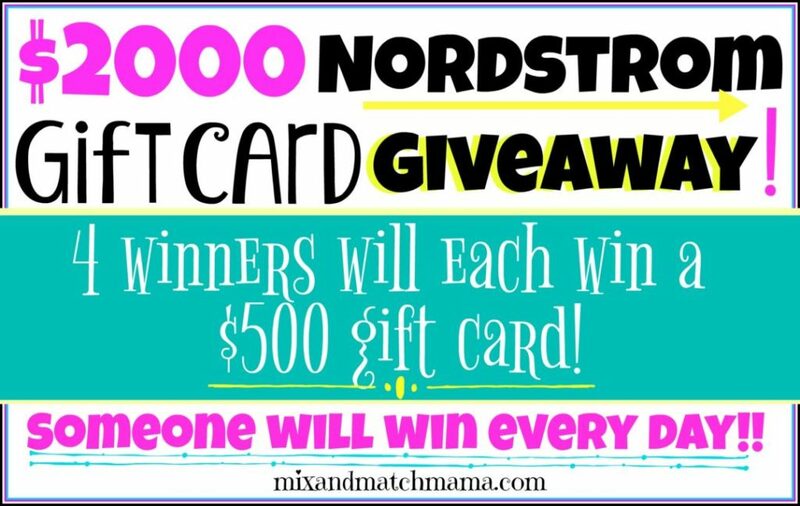 …4 people will each win a $500 Nordstrom gift card! I love doing this stuff!! So, whether you’re shopping now or shopping on Friday when it goes live to the public, you can WIN! I will pick one winner today through Thursday and then announce them all on Friday morning when the sale goes live! So…you need to enter every day for your chance to win! All four winners will receive a $500 Nordstrom gift card to shop the sale! Enter the Rafflecopter today and the winners will be announced on Friday morning! 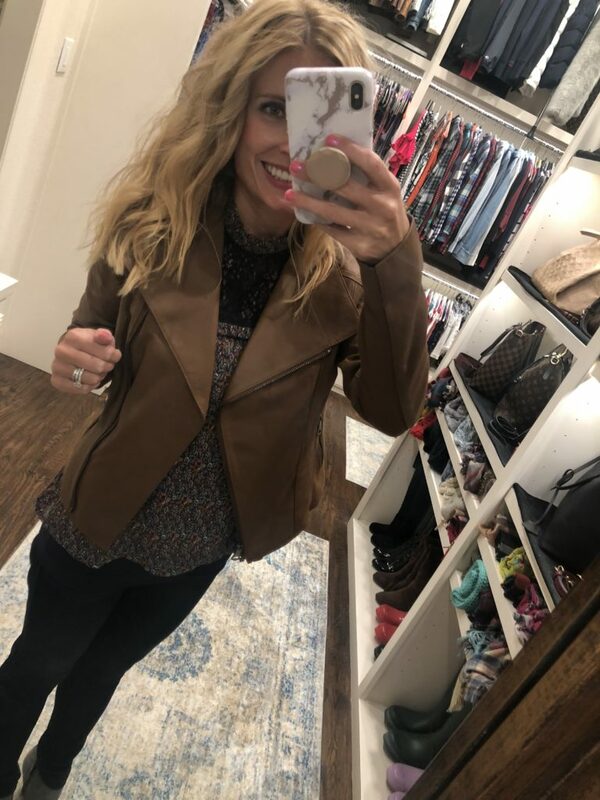 I always shop the sale the same way every year: I buy good quality fall stuff for me and I also buy Christmas gifts for my family and friends. Christmas? In July? Yes! Because come December, I LOVE pulling out my stash of stuff that I already bought for my favorite girls. I feel like a total superhero at the moment :). 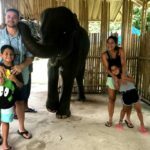 Because I’m a Nordstrom card holder, I shopped online last week and my stuff was delivered to my house (because with free shipping and free returns, why would I take my 4 kids to the mall?!). Now, if you see something you love but it isn’t in stock in your size/color, come back and check on Friday (and then again after that). History tells me that they do restock items. Most of the items are going to be sold all fall and winter long (especially boots! ), so if you don’t see your size/color, make sure you check again. I also want to say, that the things I ordered that I did not love, aren’t on here. 3. A giveaway where FOUR of you will win at the bottom! …this cute sleeveless top. 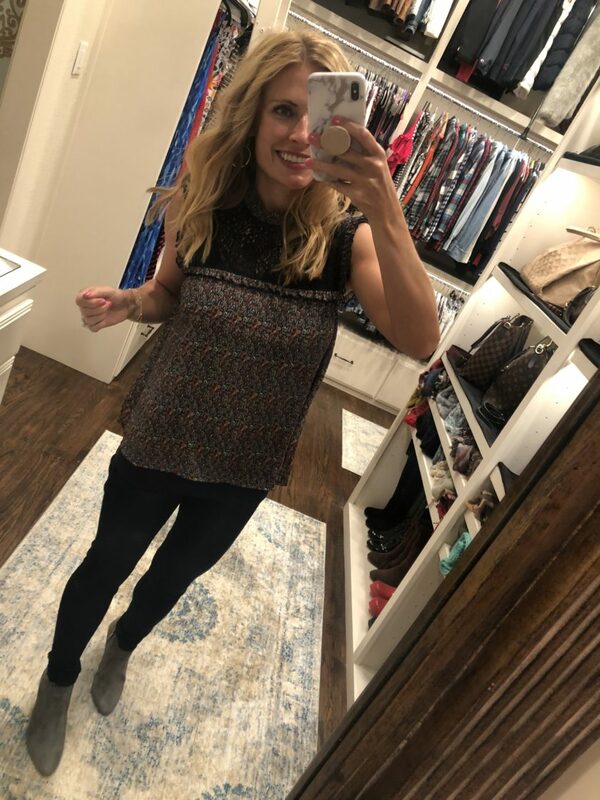 I love sleeveless tops in dark colors like this because they transition so well from summer to fall! Even in September, when the weather is warmer but you’re tired of the bright/summery tops, this will look like fall without making you hot. This top comes in one other color pattern and I bought it in an xsmall. Now, I bought five pairs of jeans but am returning four of them…including this pair. 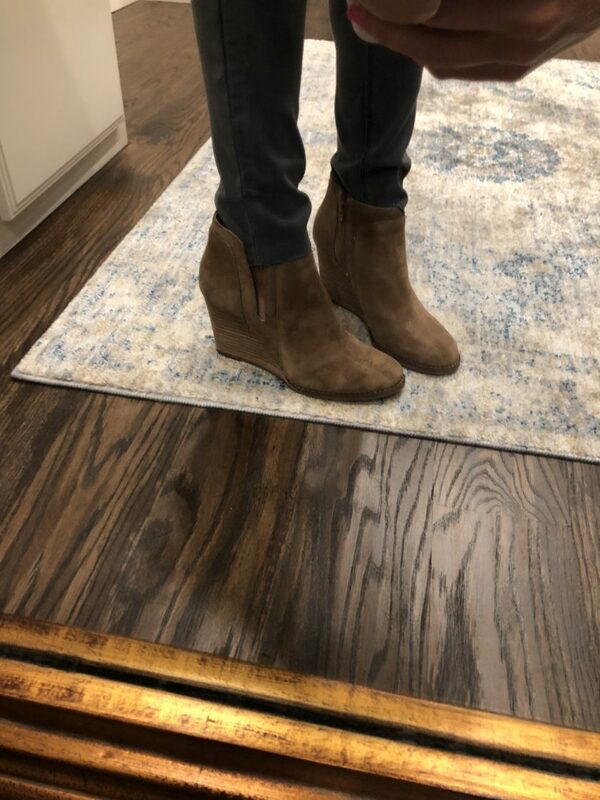 I LOVED the fit and fabric of this pair (which is why I’m showing you), but for this 5’3″ girl, they were a bit too long. If you are a little taller than me, I highly recommend them though! 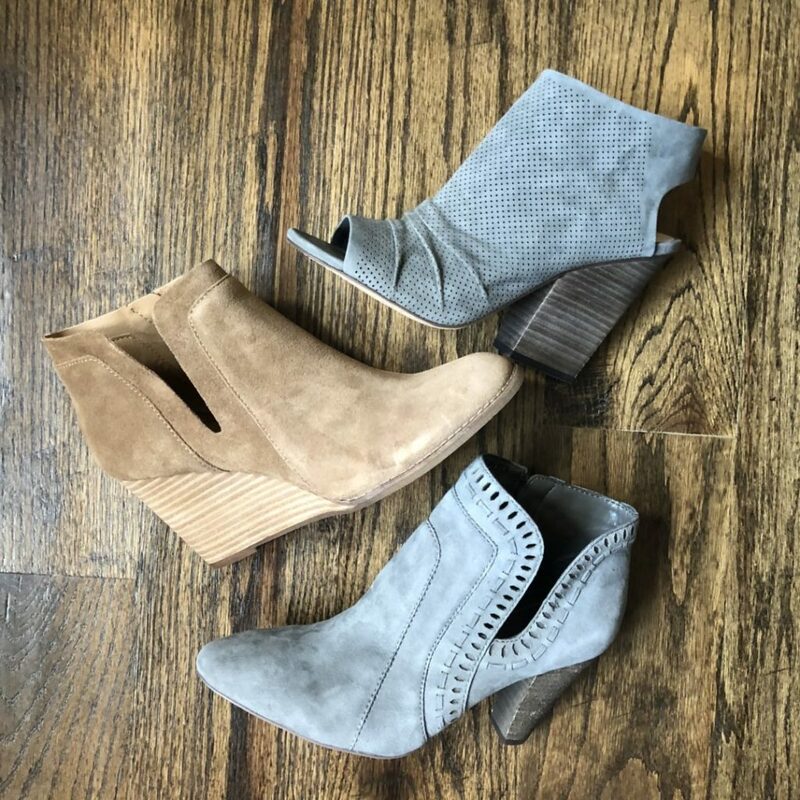 I also bought three pairs of booties this time and will return two of them. I am keeping these because I LOVE THEM! Look how cute they are?! I’m obsessed! They come in two other colors. I bought them in an 8 which is my normal size. One pair of simple gold earrings for the win this Anniversary Sale! They’re light, they’re easy to wear and they’ll go with everything! 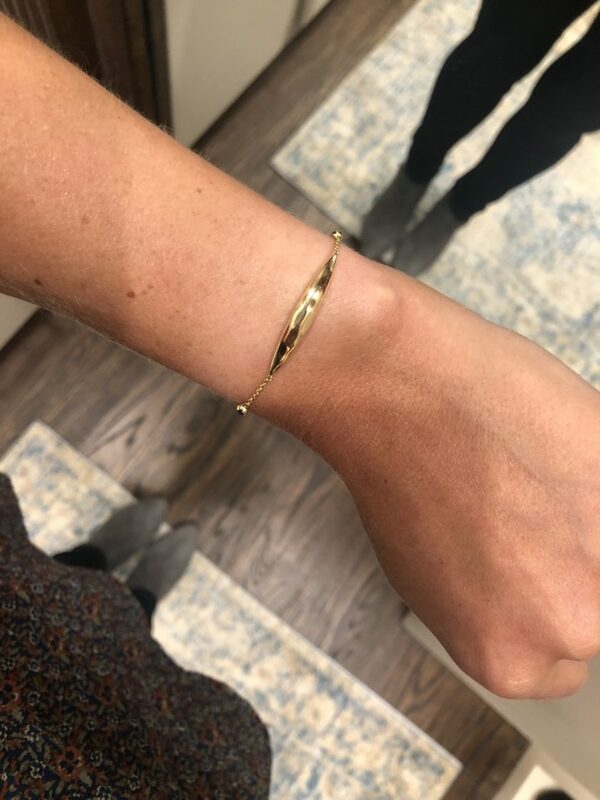 And a dainty little bracelet too 🙂 . This would be an excellent Christmas gift! 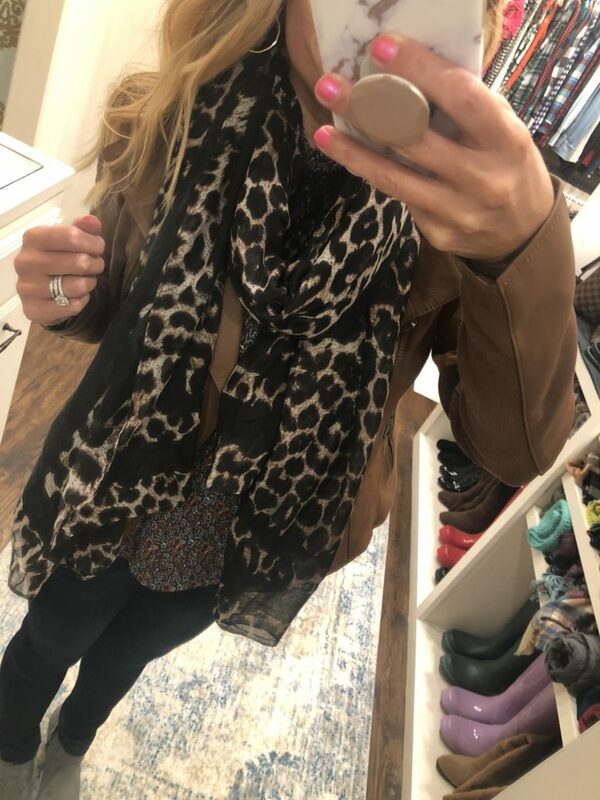 …a leopard scarf. I mean, YES!!!! …I just paired it with the cami I already had on 🙂 . These leggings are like buttttttttter. Me oh my oh! I am going to look so cute and be so comfy doing yoga. Or let’s be real, sitting around my house because yoga pants like this are my preferred choice over really getting dressed 😉 . I bought these in an xsmall. 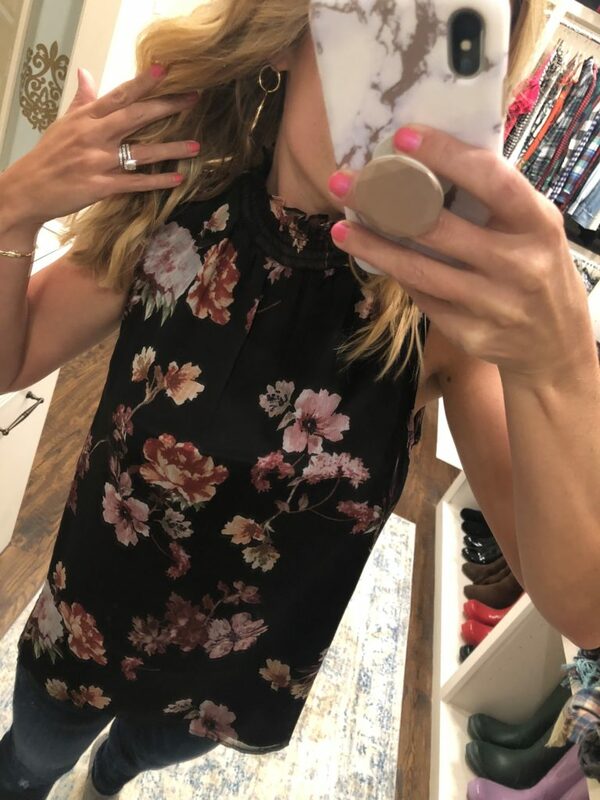 …how cute is this top?! It comes in four colors, but I thought the red rumba just screamed FALL! 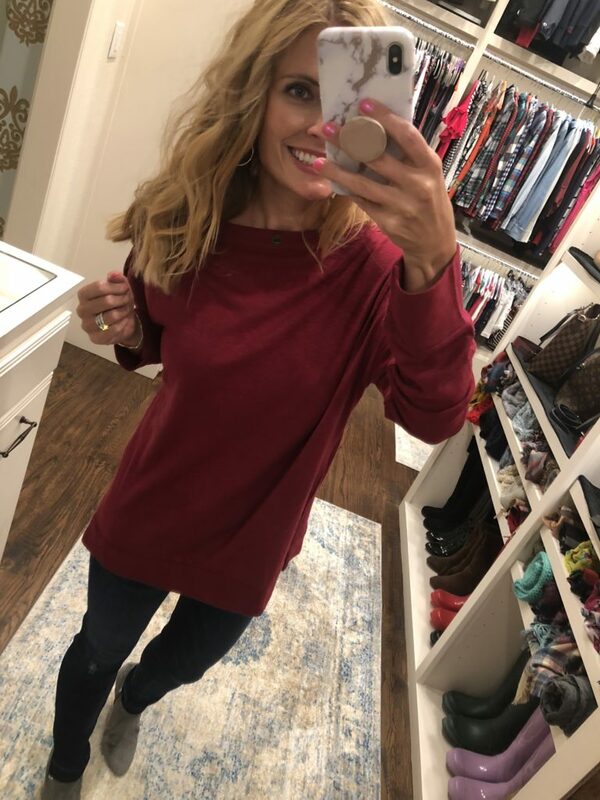 …this sweater is only $35 and it is SO SOFT! …this is my uniform in life. This cozy top comes in six colors, but they gray and white stripe had me. Now, this top surprised me! I bought it in purple surprise, but it comes in other colors too. I thought it was darling! 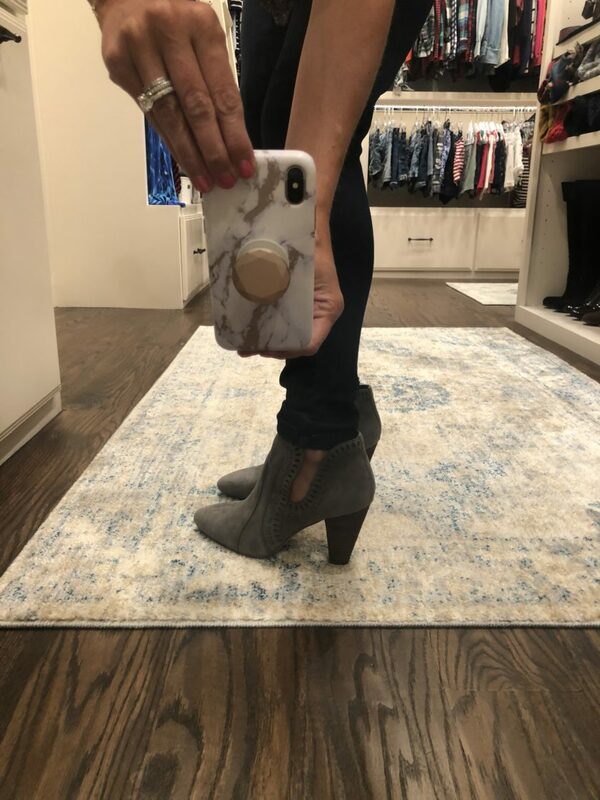 …and the booties too! This sweater isn’t heavy, so I see myself able to wear it right when fall begins! I bought one more of those sleeveless tops for fall. It’s cute, it’s darker, it’s sleeveless…it will work for fall even on warm days. This top also comes in red, but I loved the black. …so cute, right?! I decided I only needed to keep one pair from the sale, so even though I loved them, I picked the gray ones instead. This pair does come in other colors though! All so cute! Someone hand me a pumpkin spiced latte. STAT! I’m ready for fall! …this dress right here! I’m obsessed!! It is just so cute!! I don’t know? I was really not expecting much, but I love this one! If your size is already sold out, come back. I bet they get it restocked! …to see me in this dress 100 times over the next six months. This dress was my FAVORITE thing from the sale! Now, it’s out of stock right now…but since it’s Madewell, I’m just really thinking it will be back in stock ASAP! It’s soft, it’s cotton, it’s not too shear, it’s PERFECTION! I paired this dress with these peep toe booties right here. Aren’t they cute? I think I’m going to return them…but they are so darn adorable!! 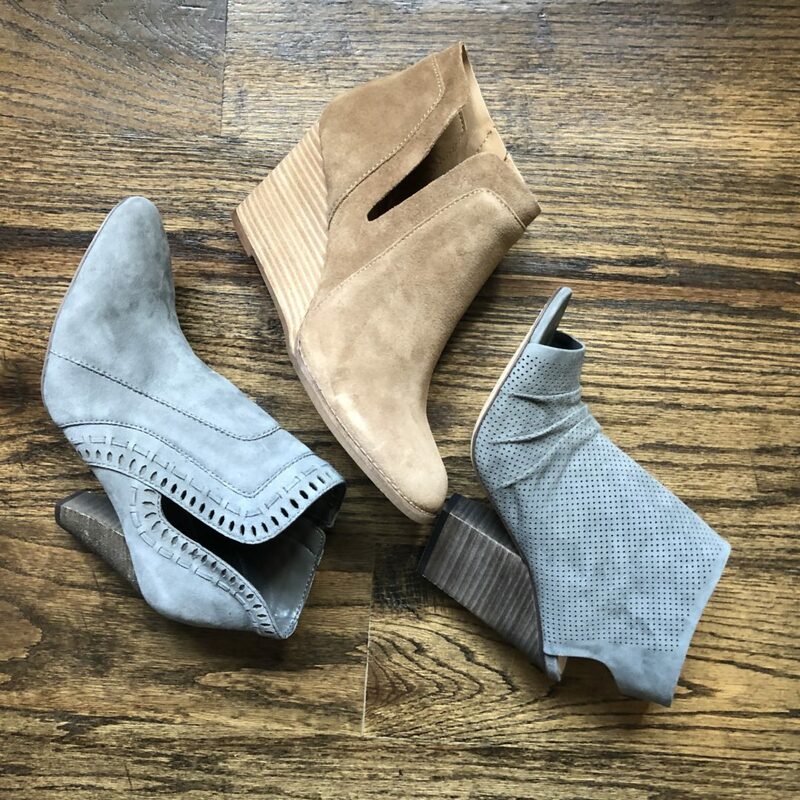 Peep toe is the perfect transition shoe for fall! …and my favorite, these 🙂 . You can see all of the discounted beauty items (from skincare to hair to makeup and more!) HERE. …how cute are these?! I took a few pics at night before I went to sleep and then a few more the next morning. PJ Salvage is my favorite brand of pajamas and these are super, super cute! They come in four patterns. PJs and robes are my go-to Christmas gifts (like my blardigan which is on sale!). Speaking of pjs…look at these!! Eeeeks! Aren’t they so cute?! Kensington still wears the PJ Salvage pajamas from last year’s sale, so I bought her a fresh new pair and Ashby one too. You can see all the slippers from Nordstrom HERE. Slippers and pjs make great Christmas gifts for kiddos too! …eeeeeeks! So cute!!! The dresses, the leggings and the shoes all make me so happy! Whew! So much goodness, right?! Anyone else ready for fall now? I saw this on Pinterest and it made me laugh so hard! So, who wants to be the first winner of our giveaway?! All you have to do is enter the Rafflecopter below! Every day, I’m going to wipe this one clean and start a new one. Enter all week and then bright and early on Friday morning, I will announce all four winners when the sale goes live to everyone. I will even get you your gift cards out early that morning if you like. 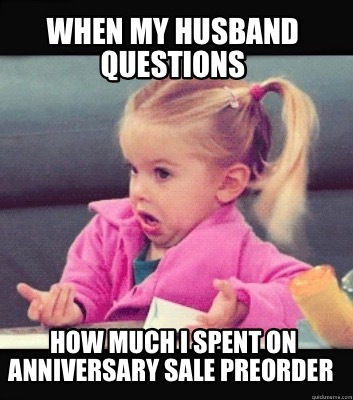 Happy Anniversary Sale Monday, everyone!! Best of luck below! 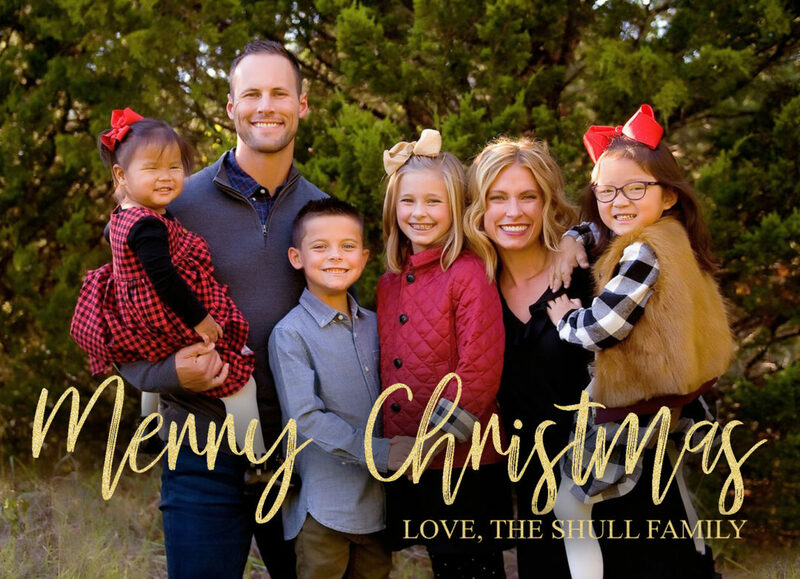 If you’re not on social media, you can still enter by signing up for my daily emails. To do that, click HERE. Thank you for the review! I added several items to my cart for my daughter. She will be a senior in high school this year!! 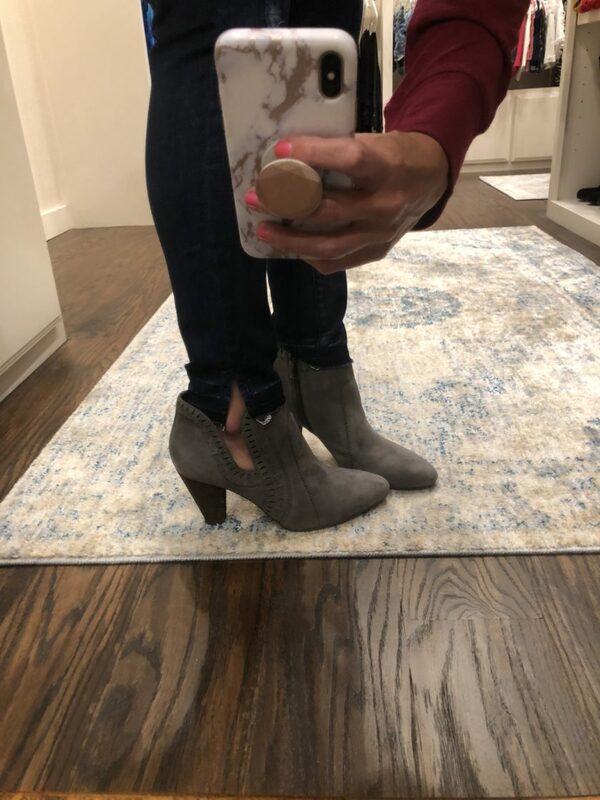 She loves the peep toe booties!! I am not a card holder (too dangerous for me) so I am patiently awaiting Friday!! Yay!! My 30th birthday is Saturday!! This would make the perfect gift!!! To myself! 😂😍👊🏻 Thanks, Shay!!! Now THAT’s how you kickoff a Monday! 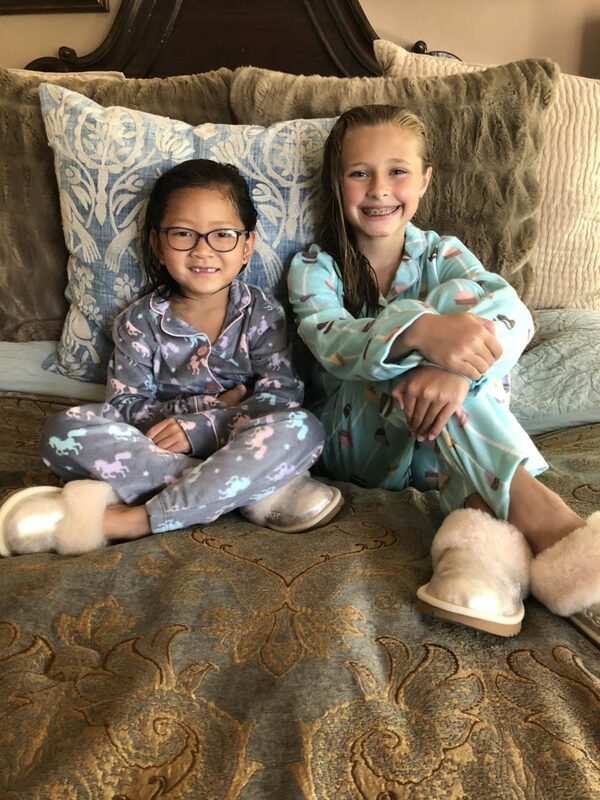 Your girls are absolutely precious in those outfits and pjs!! And I’m loving your finds! All those tops are cute! Bring on the cool weather!! OH MY GOODNESS! You got some great stuff! You highlighted a couple of things that I’ve never even seen! Loved that purple sweater and I’m going to just hope with everything I have that the striped Madewell dress gets restocked. Now that’s a closet staple everybody needs! 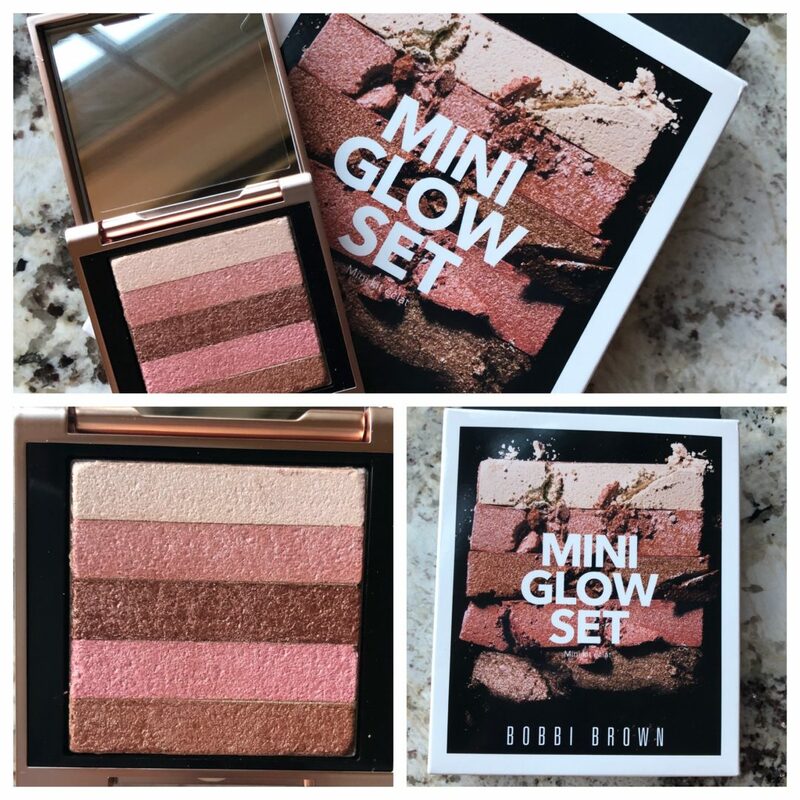 Also, I’ve ordered both Bobbi Brown products and can’t wait to get them! This year’s stuff is AMAZING. So many cute things. We are going on a trip to DC over Christmas. Def need some warmer clothes. I ordered a couple pair of jeans, too, and will be keeping just one pair! Love love LOVE those gold earrings!!!! What an awesome giveaway! Thanks so much for doing it! Random question- can you share what rug you have in your closet? I love the style and have been looking for a similar one for our dining room. If it’s a Magnolia one (I’ve been looking at all the ones by Joanna Gaines and it is super similar to those! ), do you know the exact name? That’s it! By Joanna Gaines. I don’t know the name though. Thanks for the scoop! What size did you do in the purple surprise sweater? Do you keep purchasing throughout the sale? How about some boy clothes!? I haven’t found a lot of boy stuff that I love this year. I need to go back and check again! Woohoo so excited for this! I have my anniversary picks for Wednesday but I already saw a few things I missed! Those scarves, those wedge booties and the mini bobbi brown glow set. I love my tanner mini glow set from that line so much in the summer. Thanks for sharing your picks! Great pics from the sale! 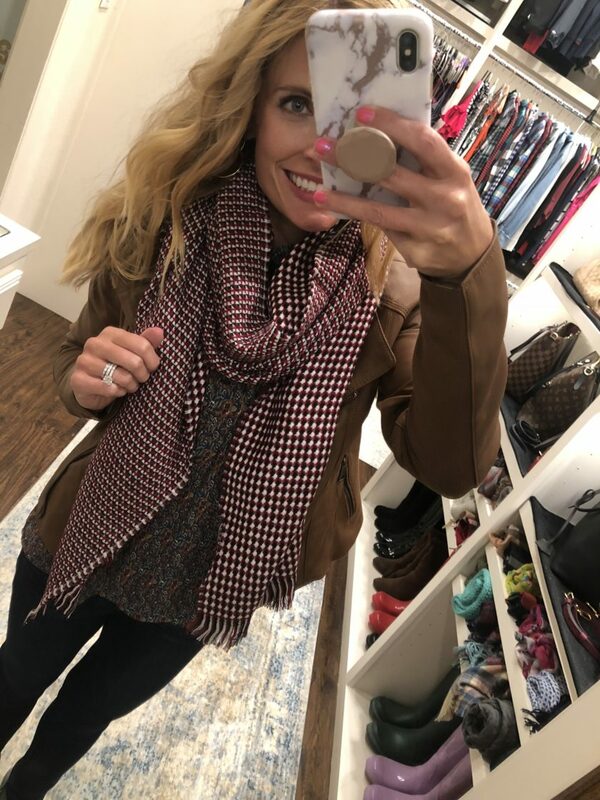 I love the leopard scarf, the red rumba top and the zip sweater, so they’re all in my cart now! 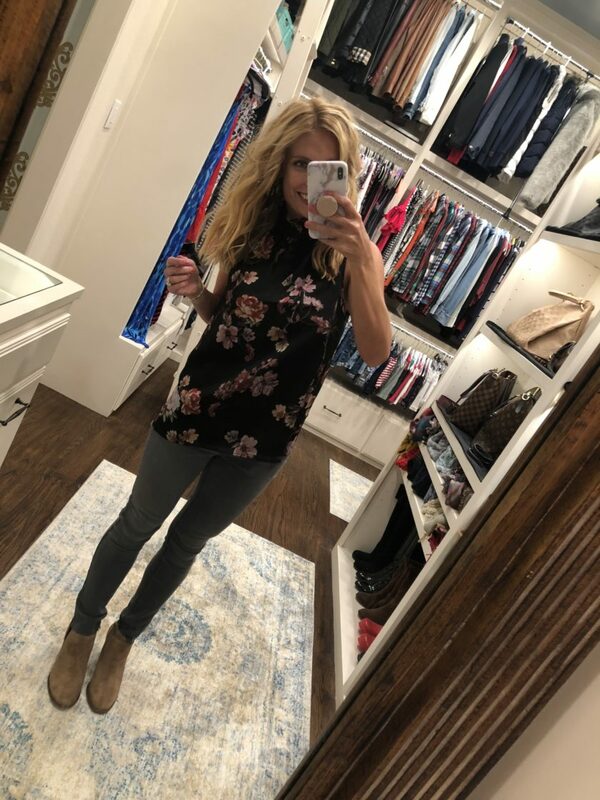 I typically just look through all of it and find things that really look like something I’ll wear all fall and winter long (except for those dresses, I’ll wear those now!!). Thank you! Have a great day! Happy Monday!! This brightened my morning☺️ It’s dreary and rainy here today so this was the perfect pick me up!! So many fabulous finds in the sale!!! Oh those booties are just adorable!! Great picks, friend!!! Well I thought I was done shopping the sale but I think it’s time to pull my credit card back out and shop some more!! You always do the best reviews!! Hi Shay!! What size did you go with in the Love by Design sweater? Thanks so much!! You found some really great stuff! Great give-away! Question about the tee/sweater. The neckline on the website looks like it has a large/wide opening that wouldn’t cover bra straps. I couldn’t tell from your pics but does your bra show? I’m wearing a strapless one! WOWZA and thank you for this incredible opportunity to win such an amazing gift card! I would be over the moon thrilled to win. I can usually only afford to shop at Target. I love all of your picks and you look fabulous! This gift card would take me from frumpy to fab that is for sure. My anniversary is coming up and I need a new look that will blow my hubby’s mind! Nordstroms has so many gorgeous dresses. Thank you again for the chance to win. Fingers and toes crossed! Have your kids ever watched the show with that little girl in the Meme? It’s called Good Luck Charlie it was on the Disney channel!!! LOL!!! That blue dress! I have to have it! Hope it’s available when I can shop the sale-I really should just get a card already. thanks for the great find! I love your picks, especially the gray half zipped sweater and those boots. 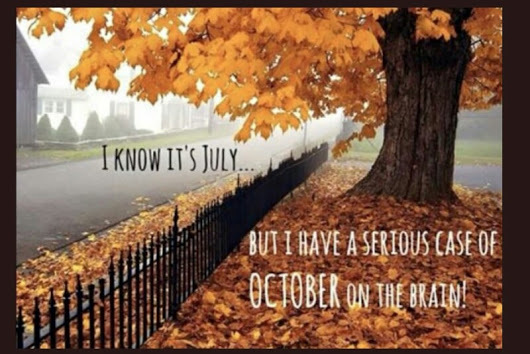 I am SO ready for fall, too! Fall-ish tanks are such a great idea to stock up on. Perfect for those days when it is still blazing! Those booties you are kept are darling! The kut jeans are on my list too! So cute and love that brand! What a great giveaway too, thanks Shay! I can’t wait for my purchases to arrive and thanks to some more suggestions from you my cart is already full for purchase #2! I loved so much of the denim and an anxious to see how they fit! Between your kids, your trips and your clothes, your blog is the perfect blend of adorable and inspirational! 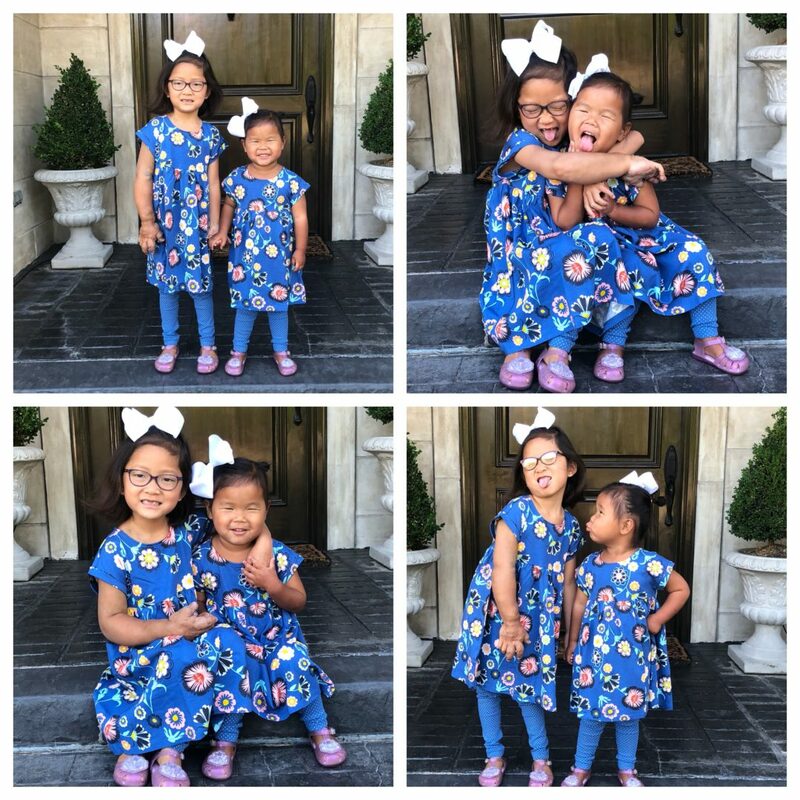 Loved your picks – you looked so cute in everything (and so did the girls!). Thank you. What an awesome giveaway!!! I keep buying all the sweaters and fleece tops…even though I live in arizona haha. The actual bedspread was bought from a store called Weir’s and the rest is Pottery Barn 🙂 . 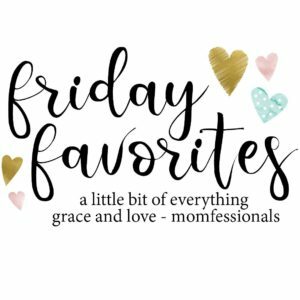 Thanks for sharing your favs! I’ll be shopping for those cute things 🙂 And loved reading about your family vaca!! Great post! Just curious, you said you were keeping one pair of jeans- did you mention which ones? Sorry if I missed that! I’m keeping the Kut from the Kloth ones with the fun hem! Can you tell me the brand of shoes that Andrew loves? 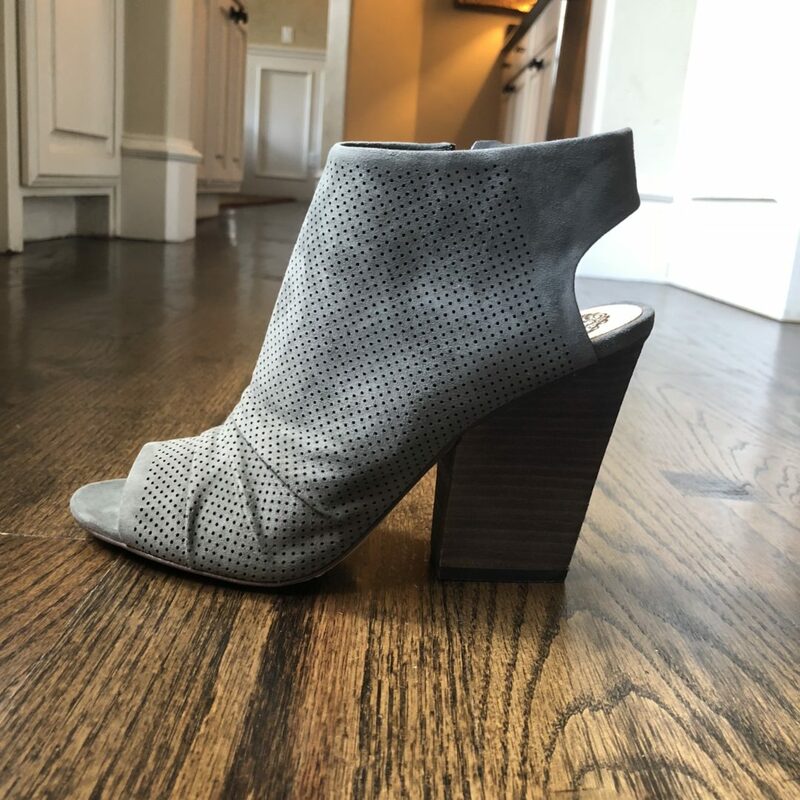 You’ve mentioned it in a post before, but when I searched I couldn’t find it…my husband has been looking for some great quality comfortable shoes for over a year now and always ends up disappointed even after spending $$$. Thanks in advance! He ordered those exact shoes on there today. The sneaker style that he loves is Magnanni and they’re in the sale! I just saw them! His exact ones! Hi shay I was just wondering if you were wearing the petite length in the kut from Kloth jeans? I’m a little bit shorter than you! Love all the finds! I am not! Regular length! Well you are just ALL set for fall! I’, going to start Christmas shopping early…nest candles, patagonia, and for the love of all things, I NEED a blardigan in my life! Thanks for the chance to win my wishes! Thanks for the chance to win! This teacher almost always needs a wardrobe update! I’m too lazy to look through everything on sale myself so I rely on others to do the dirty work for me– and you have so many cute things that I haven’t seen anyone else share! Thanks for this!! You’re not the only one 😉 . Thank you for this giveaway! Love following you and your family! You are amazingly generous! You are a blessing to all of us. God bless you and your family. Oh my word, I love your posts! I live vicariously through you ! LOVE your book reviews and can’t wait for your July one! I just am finishing up the Marriage Pact ( one of your suggestions from a couple months back ) and I LOOOOOOOOVE it SO much! Love all of your posts but these give aways are the icing on the cake! Thank you so much for doing these!! Eeeks! What a giveaway! 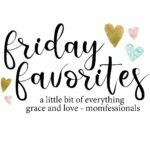 I love that you not only included your finds for yourself, but stuff for hubby, kiddos, beauty and home as well!!! So helpful! Oh good gracious! 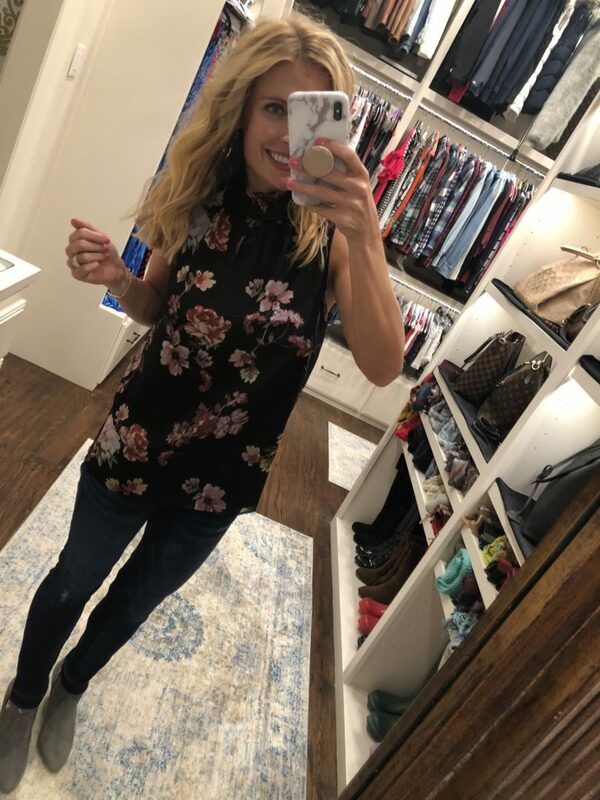 I’ve never won anything besides a scrapbook paper kit, and I don’t usually like to enter contests or giveaways…..but, I L O V E Nordstrom, and, I figured, why not, I think I need some TLC! It’s just that your blog is one of my two that I read. You’re so down to earth and just, relatable! I just turned 45 two weeks ago (should I have said that?! ), and all of your finds and goodies look amazing. Plus, I have you to thank for my favorite Gibson blouse!! It’s been 100 degrees here in the Pacific NW, really unseasonably hot for us. So, I’m ready for my favorite season, AUTUMN!!! Thanks for always being real, Shay. YES!! That way, you have four chances to win!! Love your picks! 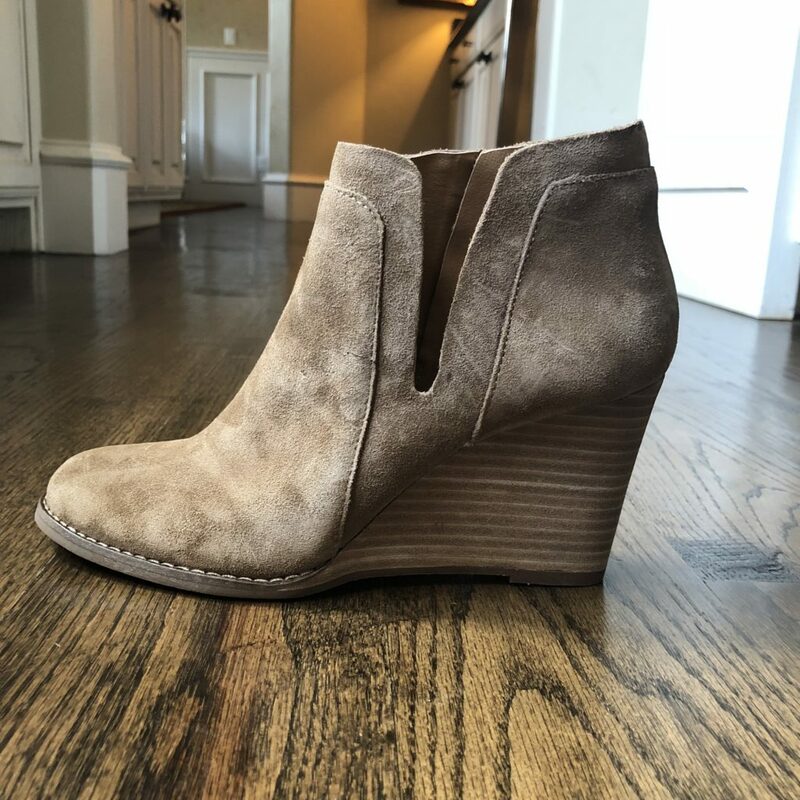 Which color are those wedge booties? I loved that caramel brown color. I feel like it would go with everything! Me too but I can’t figure out which ones you got. Olive suede or sesame suede? Or was it a different one? Who doesn’t love to shop! Who doesn’t love to shop?!?!?!?! It’s fun to hear what everyone is purchasing. 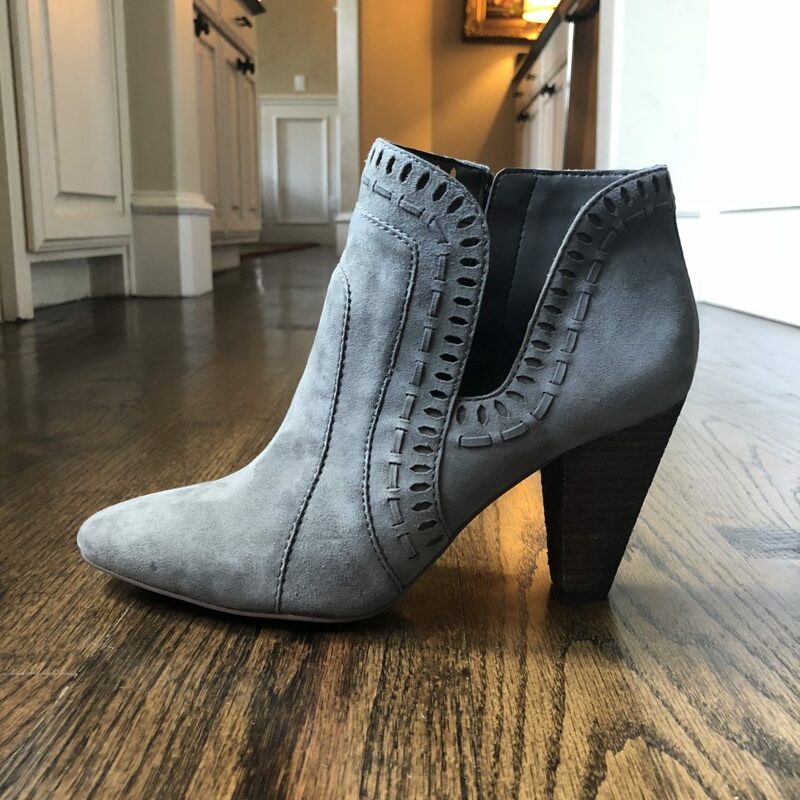 My Vince Camuto Pevista Bootie arrived today. I love them. I’m waiting for the rest of my purchases to arrive. Thanks for the opportunity for a great giveaway! I actually have a question too……do you wear no show socks with your booties? I have a question 🙂 I’m 5’3” too, what are your favorite go to jeans at Nordstrom? I’m looking for ankle ones, ones to wear with a cute bootie/wedge and ones that will fit nicely with boots(3 different types) 🙂 please help! AG makes great ankle ones and so does J. Crew (sold at Nordstrom too!). I also have the Wit amd Wisdom jeans coming my way. I am a little taller at a whopping 5 ft 5 inches so we will see how they fit on me . Appreciate the heads up that they run a little long. 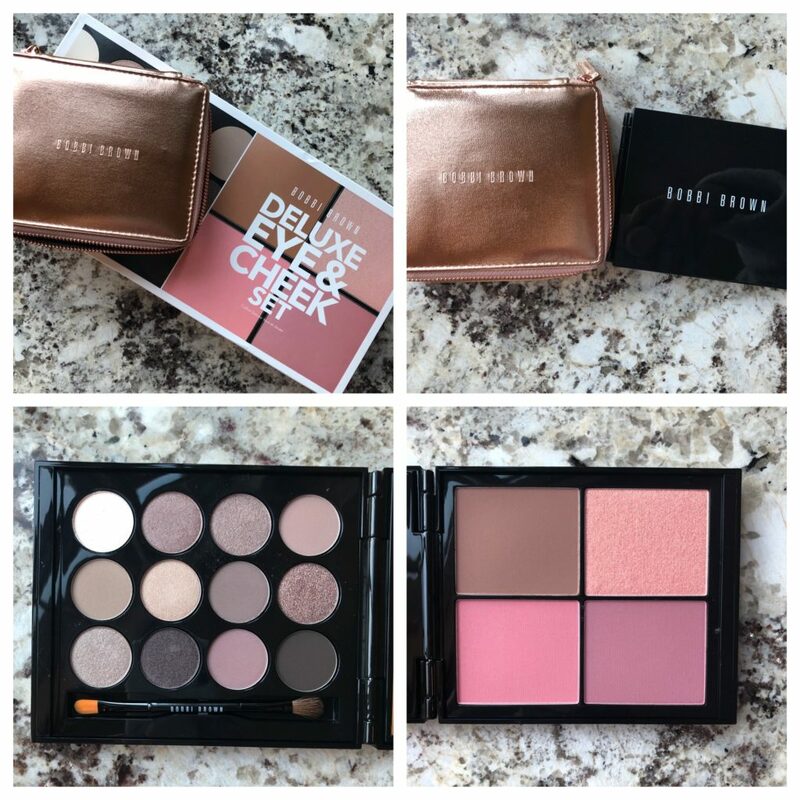 I grabbed two size becase Free Shipping and Returns!